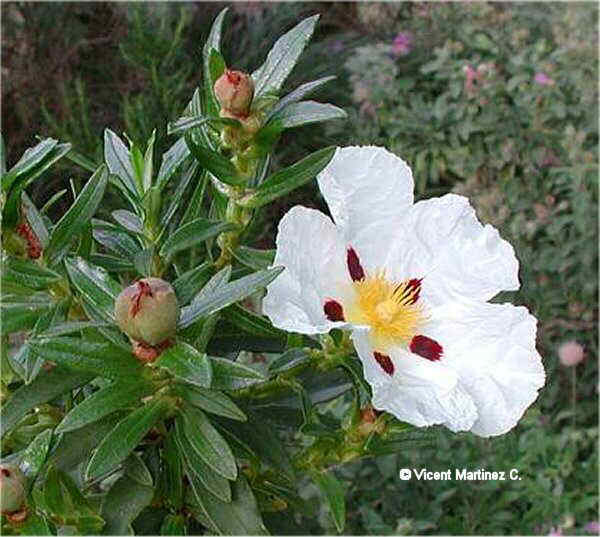 Photo of Cistus ladanifer L.
Perennial shrub of the Rockrose family -cistaceae- up to 3 m. Erect, sticky stems. Sessile leaves, till 10 cm, downy below. Like the stems, very sticky, showing three main nerves. Very conspicuous flowers, till 8 cm wide, white, with a dark red spot at the base. Fruit in capsule, very hairy. 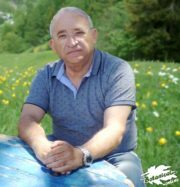 In dry woods, scrublands and dry land of Mediterranean zone.